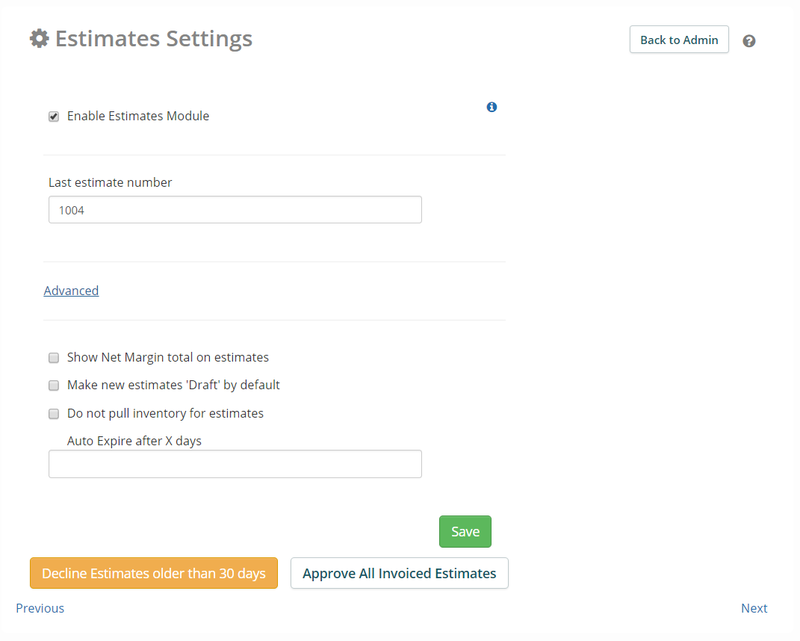 Enable Estimates Module: Allows you to create and use Estimates as part of your workflow in the application. Last Estimate Number: Changing this will reset your Estimates numeric order to the new number that you choose. Do no pull inventory for Estimates: When enabled, inventory will not be reserved when added to Estimates. Auto Expire after X days: When a value is entered, estimate will expire after the set amount of days. Leave empty to disable this feature.